A Pathfinder Society Scenario designed for levels 3–7 (subtier 3-4 or 6-7). 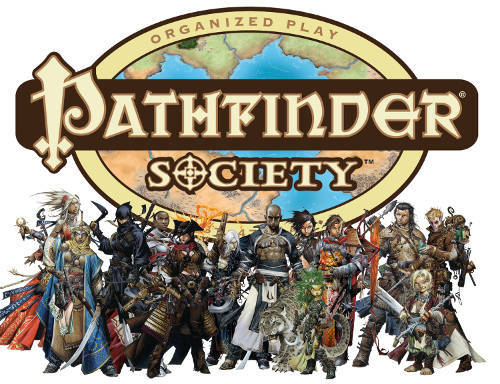 Click here for more details of playing Pathfinder Society at FG-CON 9! The legendary sorceress Hao Jin transferred many abandoned historical sites to her museum demiplane, though even her magic had limits, forcing her to transport only part of an architectural treasure. The half of a temple she left behind in the jungles of Dtang Ma has developed a haunted reputation in the centuries since. Now an unlikely ally has approached the Society with tales of unspoiled historical secrets and hidden treasure left within the shattered sanctuary of Yamatsumi, the mountain god. Happy to play with 3 players and a pregen bot (if the GM doesn’t want to handle pregen as NPC, I’ve juggled multiple characters on FG before, so I’d be willing to run both) Maybe Kyra or Seelah, since we don’t have divine covered? Or Seoni? We’ve been trying to reach Farnaby and there’s been no response. I hope he’s OK. Best to assume this game won’t be going ahead. hopefully mere unavoidable RL nuisance, rather than anything too serious.